West One’s Development Finance is designed with small developers in mind who are underserved by High Street and private banks. It can be used for greenfield, new build residential developments or brownfield major renovations and conversions. Small and medium-sized developers often find funding their projects to be a headache. Without established relationships at private banks or on the High Street, with insufficient equity or simply with projects outside the South East of England, getting finance agreed is often a challenge. 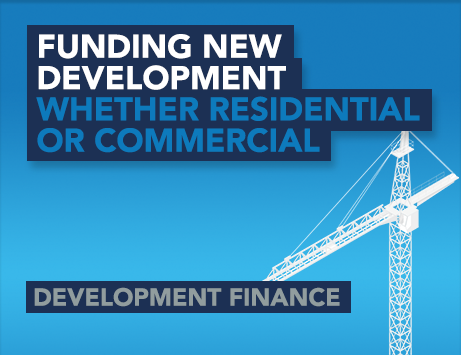 With West One, developers who have done at least 2 similar projects before can access our Development Finance for funding from £1,000,000 to £7,500,000. This can be used for residential or mixed-use developments of up to 30 units, with a maximum value per unit of £1.5m. Our underwriting is renowned for considering each case on its merits, to meet the needs of underserved borrowers. That means we can lend on a wide range of residential projects, including ground-up new builds, permitted development conversions, build-to-rent and mixed-use. With monitoring surveyors countrywide, we can lend anywhere in England and Wales. For more information on how to access these products, give us a call on 0333 123 4556 or drop us a message.